Watch fans always look for watch fairs happening all over the world. One among them, which is very popular, is Geneva watch fair which happens in second week of January every year. So, more than New Year celebrations majority of the watch fans look for this. Most of the prestigious watchmakers come to this fair. Watch fans will be waiting for new collections and watchmakers will also be eager to present their most demanding trends for that year. Like there is craze behind and fan followers for Smartphones, even Smartwatches have their own fan followers. They expect improvements in design, precision, and quality of the new watches released. Nowadays fans have started looking for perfect finishing of the watch from their favorite brands. Artisanal craft is one more thing which fans always look into in their watch brands. In this year, fans have looked more for designs which are historically inspired. Vintage Vibes was one among the best design which watches fans always look for. Even though in SIHH at Geneva presents the best watch products being largest show for jewelry and watches, this will explore the official trends and designs. But when it comes to Baselworld, which happens in March, one can see the best designs which will be later available at watch shops and can be even seen on catalogues all over the world. These watches which are explored here will be available throughout the year. Some of the bigger trends will be same as SIHH. But along with this, there will be designs which bring up totally different looks are presented here. All brands will be eager to present in a best way possible. They showcase their brands in their own ways. As said, Smartwatches are taking more places when it comes to watch trends today. Like Smartphones even these Smartwatches have already grabbed significant attention. When Smartphones became very popular, people started forgetting watches. They never looked at watches or stopped wearing them. There was no need to look for time when Smartwatches were in hand and they were showing the accurate time. But with the trend of Smartwatches again people started looking out for watches. So, even brands are spending their energy and trying to bring back the watches with more and more options. Nowadays there are watches available which are performing jobs of Smartphones. So, these Smartwatches can easily grab the some place in people’s lives. 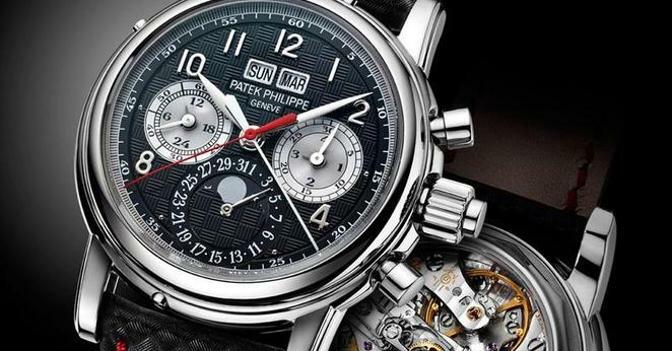 One among the icons in watch brands is Patek Philippe Nautilus. This has been introduced in the year 1976. This has been designed and released by most popular watch designers. They are also known as inventors of great species in timepieces. This brand gives out luxury sports watches. All types of collectors look for this brand today. So, today there are numerous watch brands in the market. Ranging from very simple watches to luxurious and Smartwatches all types are available for people.